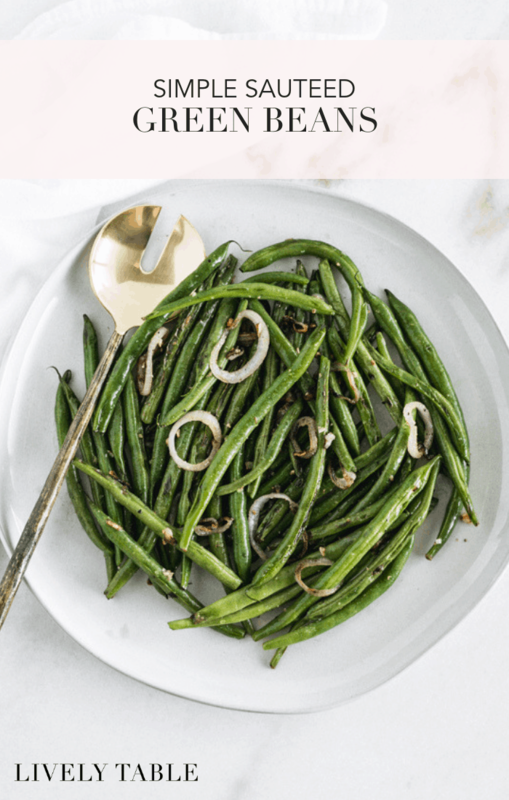 When it comes to cooking vegetables, fun sauces and flavors can certainly help in the taste department. But sometimes, I think simple is best. Cooking vegetables simply really lets their natural flavors and textures shine. Not to mention, it’s usually quick and easy to prepare and clean up. 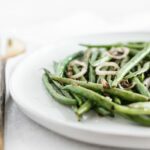 I took the simple approach to a vegetable that we cook often in our house – green beans. 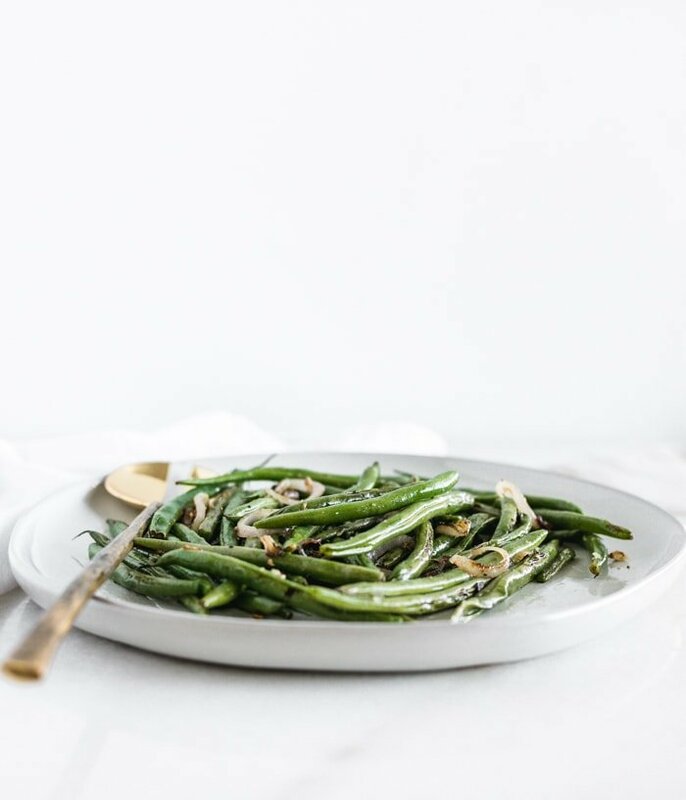 Fresh green beans have a natural crispness that I love and don’t like to lose, which can happen often when they’re overcooked. Instead I like to veer on the side of almost undercooked, so that they’re still crunchy and delicious! 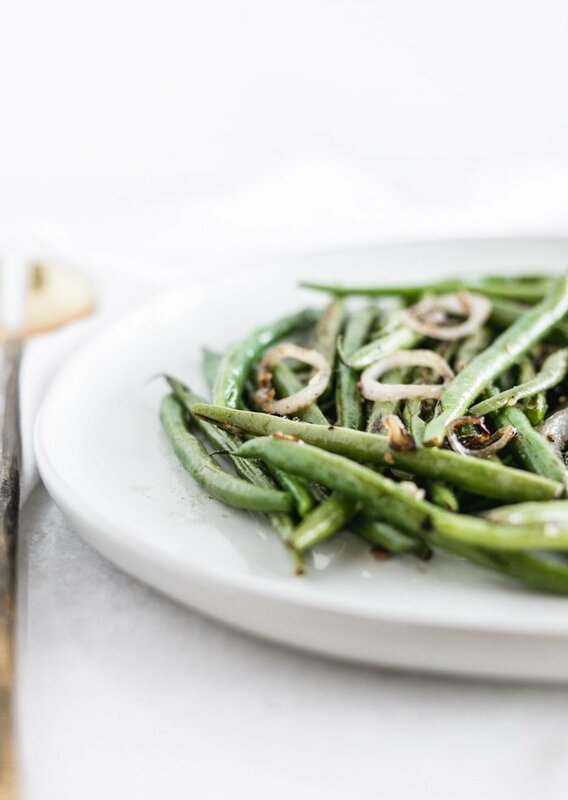 All you need to enhance the flavor of these yummy veggies a little olive oil, shallot, salt and pepper. So simple and tasty! You can change up the flavor a little bit if you’d like by changing the cooking fat. You can use a little bacon fat (my husband’s favorite), butter, or ghee in place of the olive oil if you prefer. 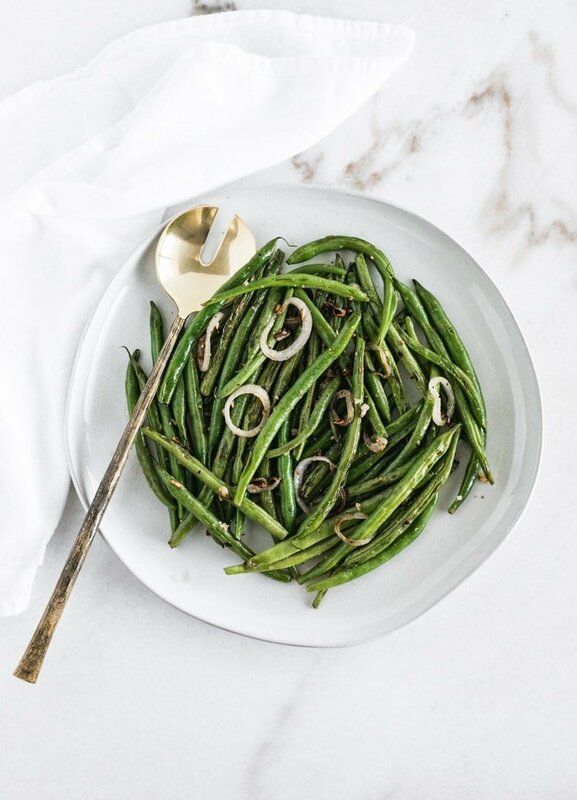 These simple sautéed green beans pop up on our dinner table throughout the week pretty often, but they’re also a great vegetable side dish to go with holiday meals, too. Enjoy! Heat oil in a large nonstick skillet over medium-low heat. 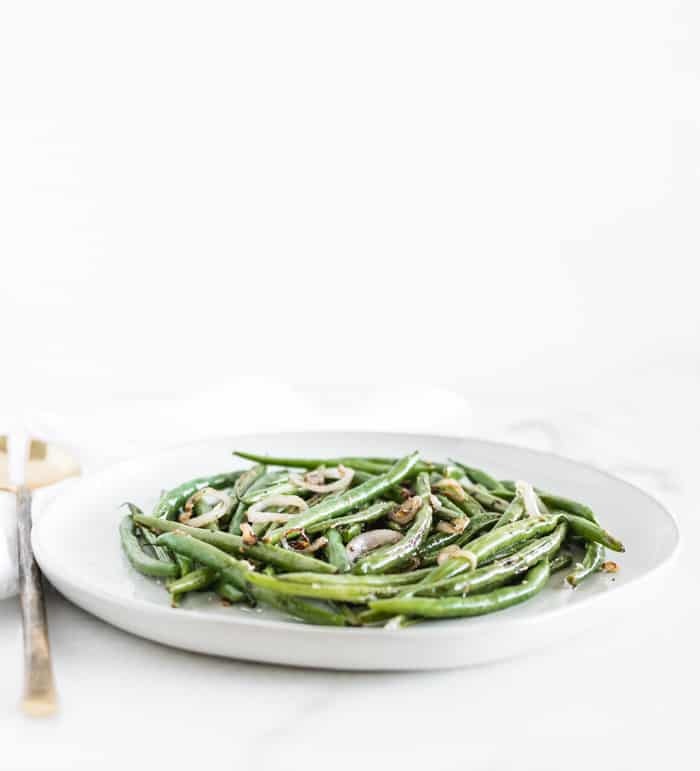 Add green beans, shallot and garlic to pan and cook, stirring occasionally, until shallot is caramelized and green beans are crisp-tender, about 15-20 minutes. Season with salt and pepper before serving.